January 1 – December 31, 2017. The document is a transparency approach and responds to OMFP 1938/2016 including relevant data that contributes to the understanding of non-financial performance in the company’s economic, social and environmental fields. At the same time, Antibiotice SA has also decided to align itself with international practices in the field of sustainability, using the Global Reporting Initiative (GRI) standards, the most recognized reporting standards for international sustainability, as a reference system in this report. The report contains the most important actions and measures that Antibiotice SA has adopted and implemented in the course of 2017, reflecting the importance of stakeholder satisfaction, employee health and safety, community concern and environmental concern. The document contains a range of economic, social and environmental impact themes that the company has identified following the process of consulting its most relevant stakeholders to better capture their expectations and needs. The management team of Antibiotice SA wishes to thank this way for all the people inside and outside the company who have contributed to this report. Without their substantial contribution, our effort would not have been complete. We thank, at the same time, all of Antibiotice’s employees, who are involved in the production of medicines. 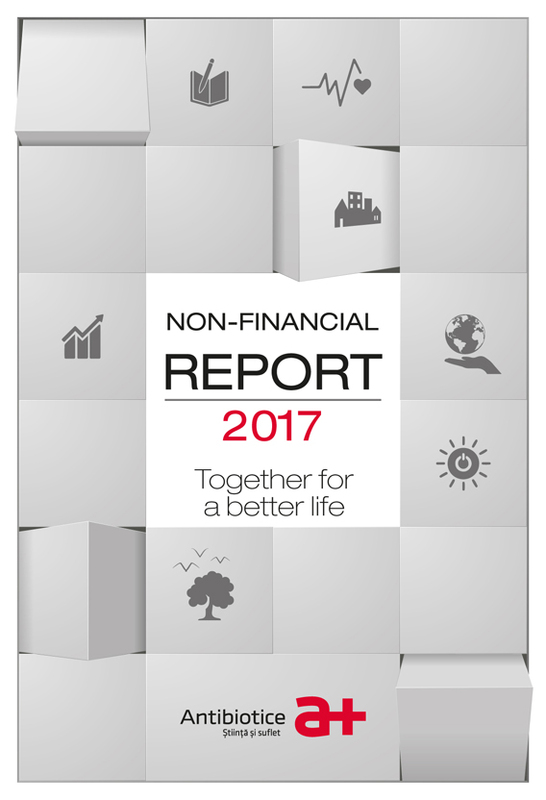 View the non-financial report in pdf format by clicking here or on its Cover.